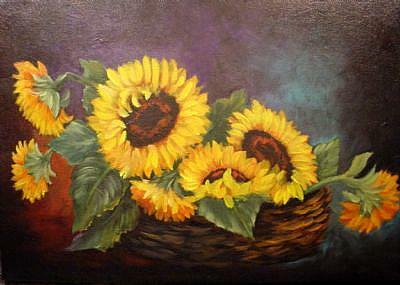 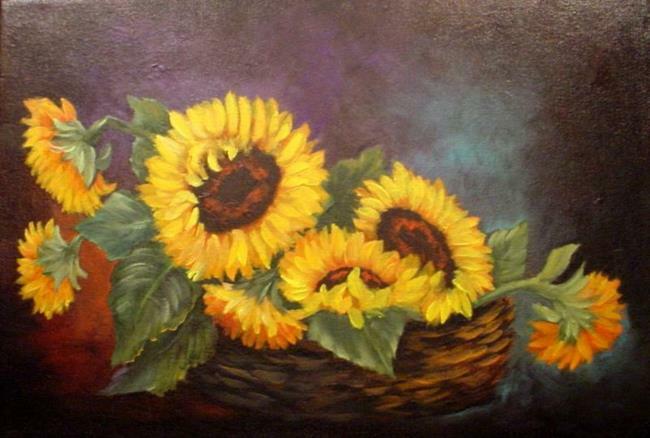 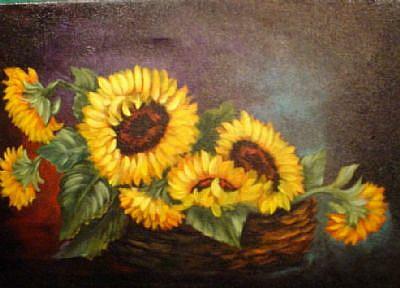 I love to paint florals and this basket of sunflowers is my latest. 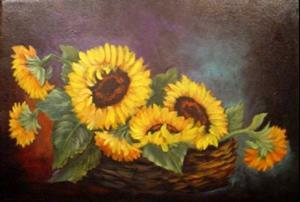 It is on a blue-umber background with splashes of red and purple. The sunflowers are yellow, orange and red. It has a hanger on and the sides are painted.